Analog and Digital Telephony where you want it, IP and Voip Telephones where you need it, all in one phone system!!! IP and Voip Telephones where you need it!!! The Vertical Summit is the most versatile business telephone system ever created!!! Call now to schedule your onsite New Business Phone System demonstration!!! Analog, Digital, IP, Mobile, all in one easy to use business telephone system. Whether you have 2 phones or 400, now you can have it all – with the versatile Vertical Summit™ Business Phone Systems(UC) platform. More than a simple phone system, the Summit gives you cost-effective options that add up to real-time communications and bottom-line business benefits with the ability to easily – and affordably – migrate from analog to IP for true mobility and more. Simple to set up and administer, the Summit’s optimized IP/TDM hybrid architecture gives you all the standard features you need while supporting more advanced UC and mobility applications, so you can communicate and collaborate seamlessly wherever your business takes you. All of the features a growing business needs. The Vertical Summit offers standard call handling features including one-touch call transfer, call recording, Caller ID and music on hold. 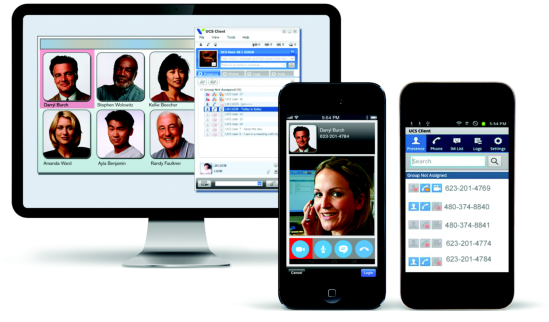 Integrated applications offer more advanced voice workflows including automated routing through a multi-level auto attendant, robust call routing engine, voice mail with email notification, and the ability to extend your workflow beyond the phone with the Vertical Summit UC mobile and desktop clients. Take your business communications to new heights with the Vertical Summit, the affordable solution for your mobility and communications needs. Call now to schedule your onsite IP VoIP Converged Business Phone System demonstration!!! Vertical Summit is simple to set up, maintain, and use ensuring you can stay focused on your business. Manage the system from any web browser through the HTML5 based admin. The Vertical Summit also offers simplified wizards for basic tasks. Feature Rich Converged Office Telephone System User Interactions with UCS, CTI and a user intuitive Desktop Telephone Client at a touch of a button. VOIP phones and reduce monthly trunking costs by upgrading to SIP trunks. Call now to schedule your onsite Small Business Office Phone System demonstration!!! 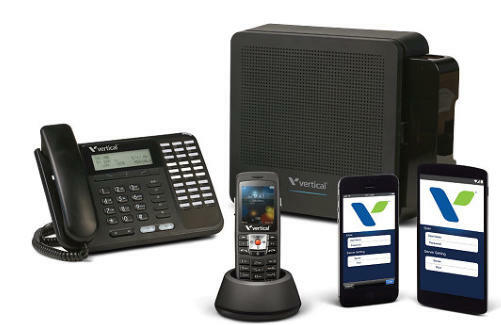 The versatile Vertical Summit™ platform includes advanced VoIP technology that supports low cost SIP trunking, on/off-premise mobility, remote connectivity and multi-site networking to give your small business cost-effective options that add up to real-time communications and bottom-line benefits. Its optimized IP/TDM hybrid architecture gives you the ability to easily migrate from analog to IP with a comprehensive feature set, advanced mobile device integration and optional UC capabilities suitable for both single-site and multi-location businesses. The Vertical Summit system includes two IP ports, two standard Summit Business Phone Systems Solution (UCS) Desktop Client with Voice softphone licenses, and two Summit UCS Mobile Client licenses. The Summit is built on a multi-cabinet architecture that allows four types of basic system units and one expansion unit to configure a dynamic system that delivers cost-effective communications and affordable expandability to small and midsize businesses. The Summit is also compatible with the Vertical Summit 800, as well as Vertical’s SBX IP and MBX IP platforms, so you can quickly network over 250 sites together while creating a simple migration path to the full-feature and cost-saving benefits of the Summit’s built-in VoIP technology. Simple installation and maintenance The Summit features advanced HTML5-based Web administration for intuitive system configuration and maintenance. The Install Wizard guides users through the basic installation in a series of simple steps in English or other local languages. Along with all the basic features and functions of a sophisticated phone system, such as one-touch Call Transfer, Caller ID, MOH, etc., the Summit delivers more advanced capabilities including an integrated multi-level Auto Attendant, and voice mail with both mobile and e-mail notification. Leverage the full capabilities of the Summit with additional licensed applications for even more powerful features and functionality including videoconferencing, the ability to place calls directly from Web pages, and advanced call recording capabilities including automatic and/ or on-demand recording of calls from any phone connected to your system. Whether you’re moving to a new office or opening a brand new one, If you’re looking for a Business Phone Systems In Columbus, Dayton and Cincinnati, Ohio in 2018, there are several questions you need to answer first. Do you need a full phone system that includes physical office telephones, or could your business get by with a virtual phone service that relies on mobile devices instead Business Phone Systems of traditional office phones? Business Phone Systems In Cincinnati, Ohio choosing the right business phone system for your new location is critical. An office move is the perfect time to make the transition to a cloud-based VoIP phone system that puts your company ahead of the curve. IP telephony provides a way for you to extend reliable, highly secure, and consistent communications services to all your employees throughout your campus, at a branch office, working remotely, on the road sales force or are mobile. IP telephony transmits voice communications over your intranet and the internet network using Internet Protocol. IP telephony solutions are an integral part of any IP based telephone system, which unify voice, video, data, and mobile applications on internet and intranet networks enabling users to easily communicate in any person using any media, device, or desktop operating system. Using the network as the platform, IP telephony and VoIP solutions help organizations of all sizes realize greater security, resilience, and scalability in addition to the inherent benefits of using a converged network for transport and interconnection. Digital IP-based telephone service uses control protocols such as the Session Initiation Protocol (SIP), Skinny Client Control Protocol (SCCP) or various other proprietary protocols. Call now to schedule your onsite VoIP and IP Based Office Phone System demonstration!!! the ability to extend your workflow beyond the phone with the Vercal Summit UC mobile and desktop clients. Take your business communications to new heights with the Vertical Summit, the affordable solution for your mobility and communications needs. be customized to fit the needs of individual users. communications needs of your business. record and monitor any or all calls to and from any phone on your Summit system. Web interface for quick access to graphic charts and statistics to simplify administration. communications and affordable expandability to small and midsize businesses. and cost-saving benefits of the Summit’s built-in VoIP technology. mobile and e-mail notifi cation. Definition – What does Internet Telephony mean? Internet telephony is a type of communications technology that allows voice calls and other telephony services like fax, SMS and other voice-messaging applications to be transmitted using the Internet as a connection medium. Software under this technology is cost-effective and convenient because it allow the user to communicate through fax, voice and video calls anywhere in the world as long as there is an Internet connection. In this way, users are able to bypass the charges that are common in traditional telephone services. However, the quality of this service is not as good as that of traditional circuit-switched networks used in traditional telephone services because it is very dependent on the quality and speed of the Internet connection. Internet telephony is also called IP telephony or broadband telephony. Even though Internet telephony and Voice over IP (VoIP) are used synonymously, they mean two different things. Internet telephony is defined as the umbrella technology, the one that encompasses all use of Internet Protocols (IP) for voice and telephone-like communications transmitted over the public Internet. VoIP, on the other hand, is simply one technology under Internet telephony. Internet telephony includes a wide range of communication involving various digital phone systems based on numerous IP addresses. It was developed in order to increase productivity by taking advantage of the Internet and various applications attached to it. In contrast, VoIP is merely a digital medium for voice calls offering cheap or free voice calls while adding more voice communication features.